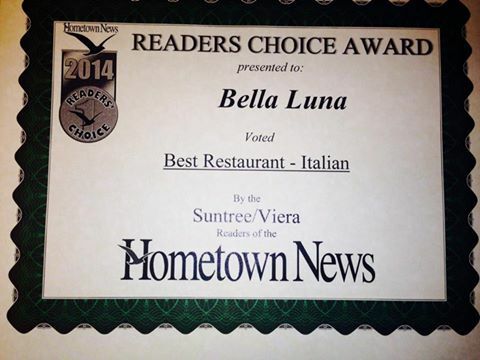 Bella Luna is a family owned and operated Italian Restaurant whose main priorities are making the highest quality foods, and making sure our customers are satisfied. If for any reason you are not satisfied with our food or service, please let us know, and we will do our best to make it right. Monday - Thursday: 11 A.M. to 9 P.M.